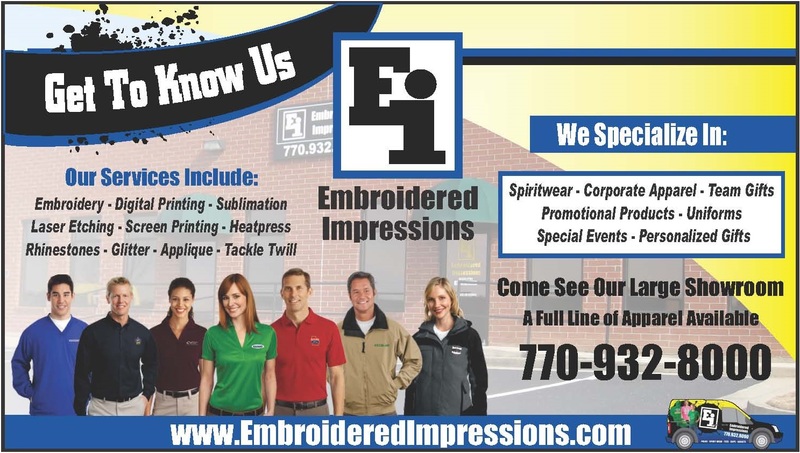 We cater to the entire US and have sales representatives in the following areas: Atlanta, Buford, Sugar Hill, Flowery Branch, Oakwood, Gainesville, Dacula, Lake Lanier, Suwanee, Marietta, Roswell, Johns Creek, Alpharetta, Hoschton, Duluth and Norcross. We are your one stop shop for professional embroidery, company logo apparel, team roster shirts, school spirit-wear, screen printing, digital print tee shirts and embroidered caps. 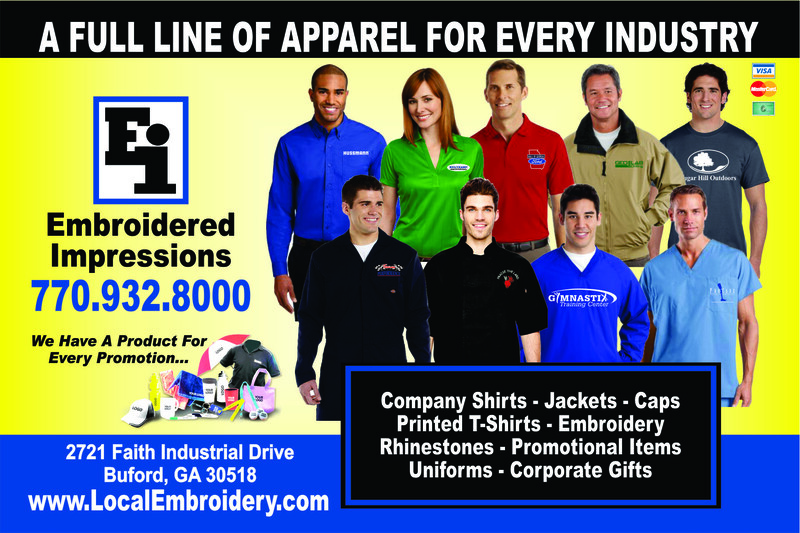 Embroidered and professionally printed apparel gives your company that professional look that will build brand recognition. 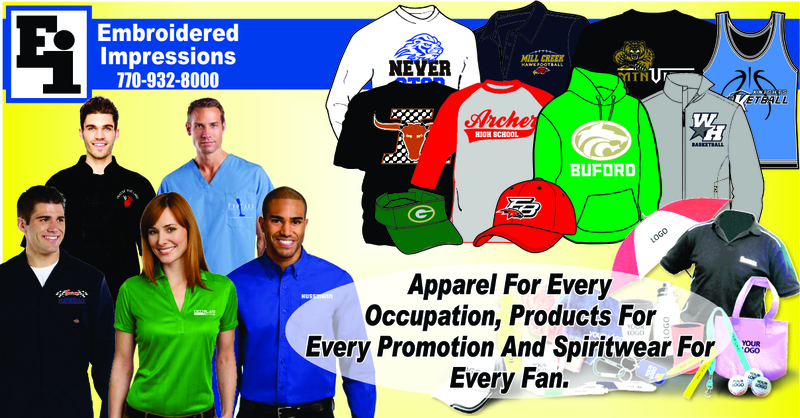 Our selection of school spirit wear is top notch and we have designs that you will not find anywhere else. 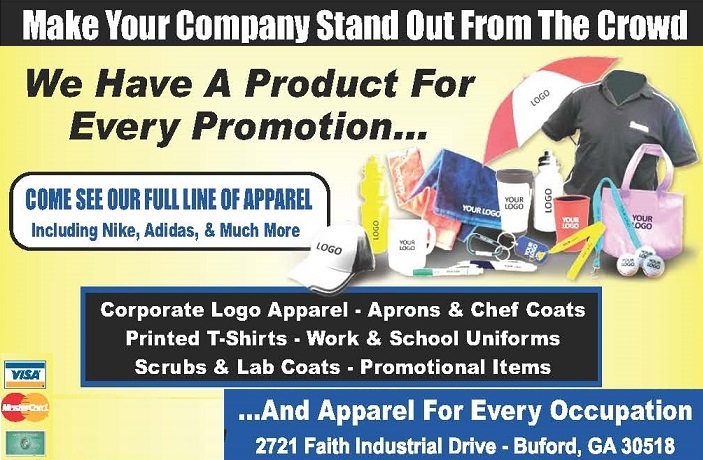 We have great start up packages for your school or business and our custom embroidery design team will help you make a lasting impression with your customers and sports fans. 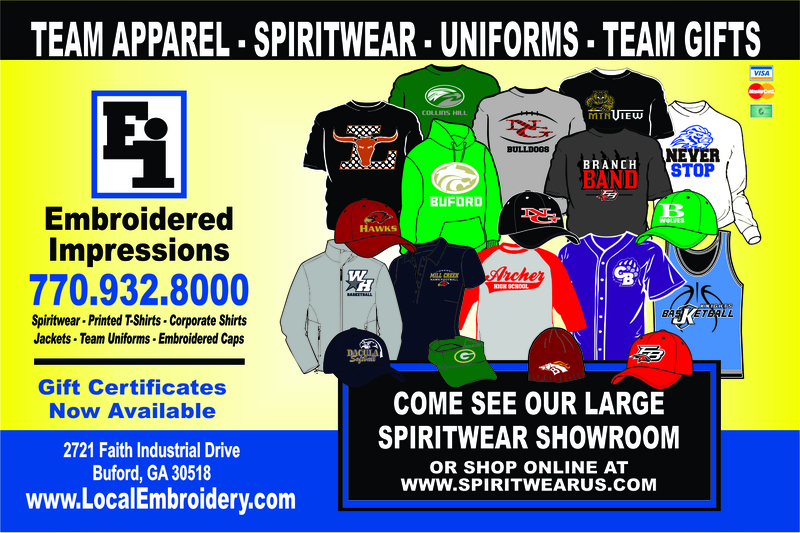 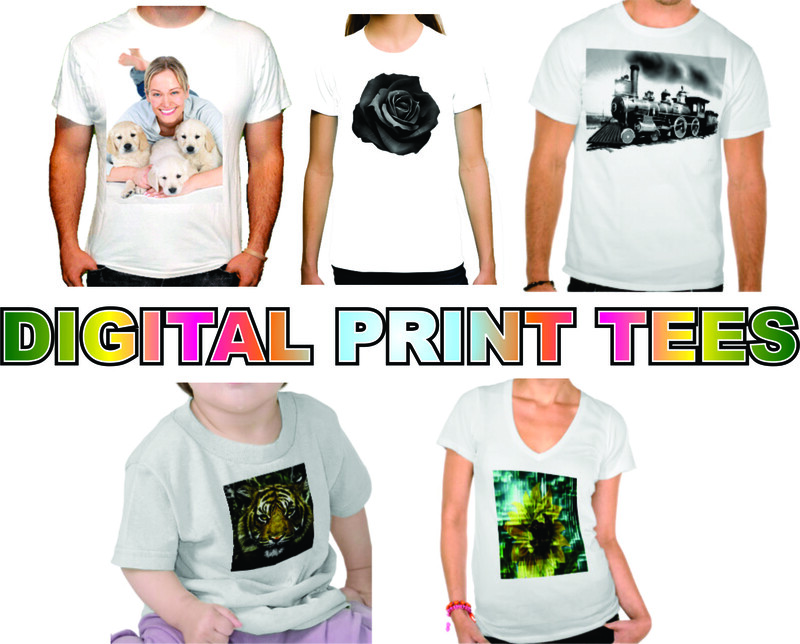 Check out our full line of ready to decorate apparel from all your favorite brands.